These credit card size photos have been so amusing in our house, we actually call them the magic photos because my kids love watching the photo pop up and slowly appear on the paper. 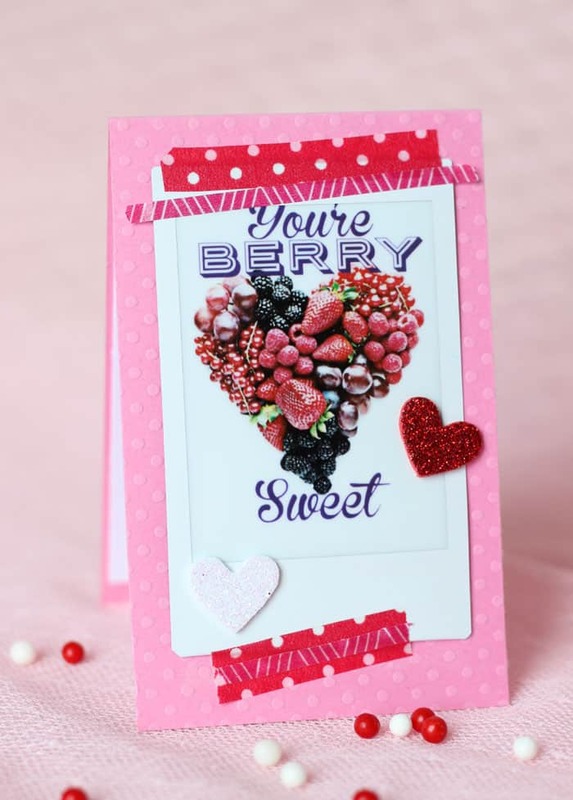 I had great intentions of making some sweet Valentine’s Day Cards featuring my little sweeties, but the flu has hit our house like the plague, and no one wants to see that. 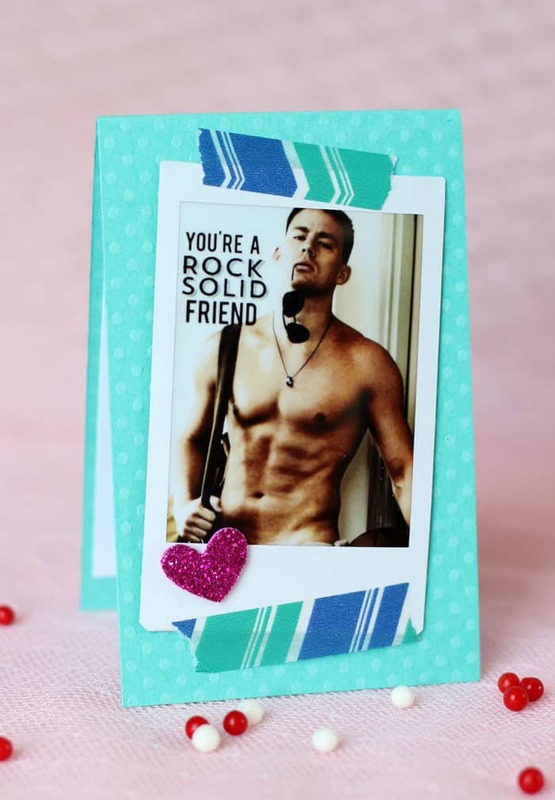 So I decided to make a few Funny Valentines to show you just how cool this INSTAX®Share printer really is. 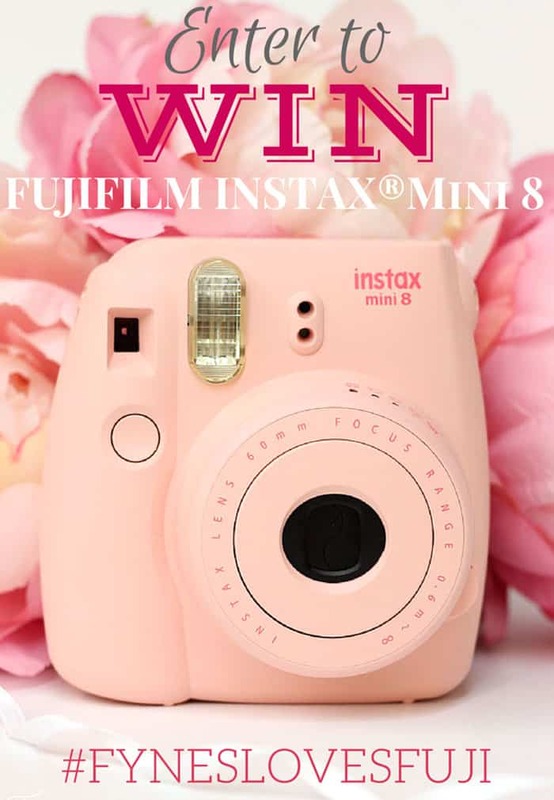 PLUS I’m giving you the Chance to WIN one of 4 FUJIFILM INSTAX® Mini 8 Cameras, plus a pack of FUJIFILM INSTAX® Mini Rainbow Film. If you’re a smartphone ninja you probably have a few fun photo apps on your phone to make your pics really pop. 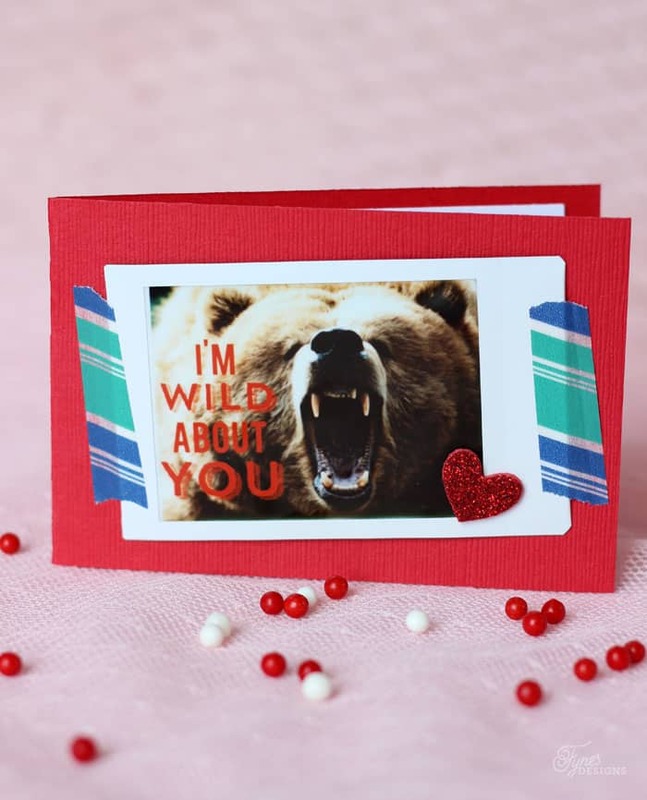 You can easily use your mad skills and this little printer to create some Funny Valentine’s Day Cards. Oh Van, rock on man! mmmm… chews, the .5 seconds of sweet and sour flavour. I chews you too! Wild thing, I think I love ya. 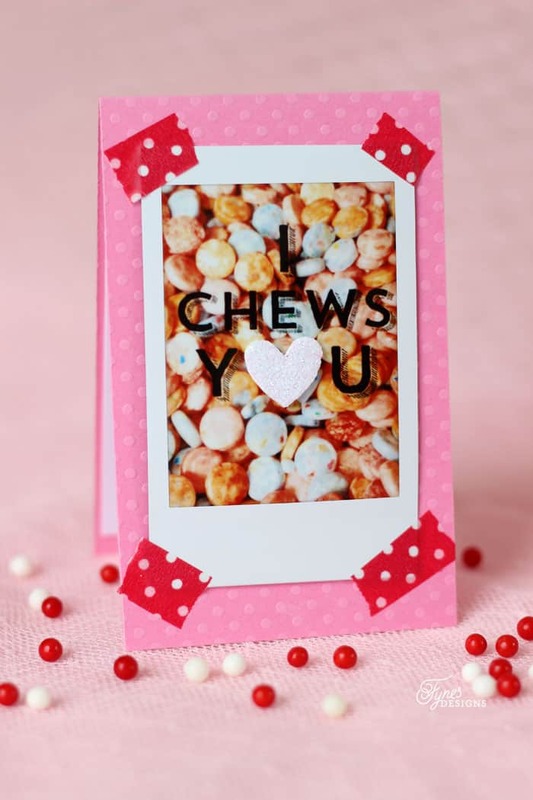 A couple inches of colourful cardstock, a few strips of washi tape, glitter foam hearts and you have yourself some INSTAX® instant Valentine’s any friend would love to receive. As for the photos, I used Rhonna Designs App on my iphone to add a bit of text to some already awesome photos. Then simply used the Instax Share App (available for iphone and android) to print the pics directly from my phone, TOO EASY! 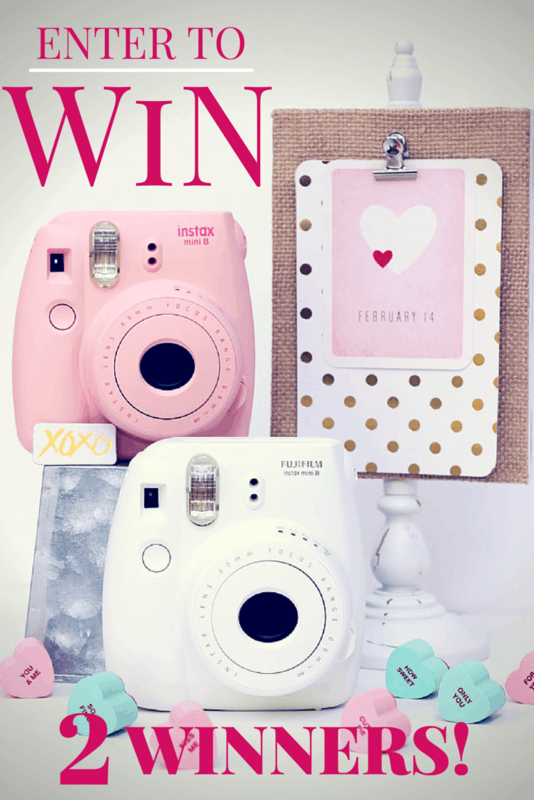 I have 4 FUJIFILM INSTAX® Mini 8 cameras each with a package of Rainbow Film to gift to gift to some lucky readers. Enter below using the rafflecopter, and slide over to Instagram for an additional chance to win! 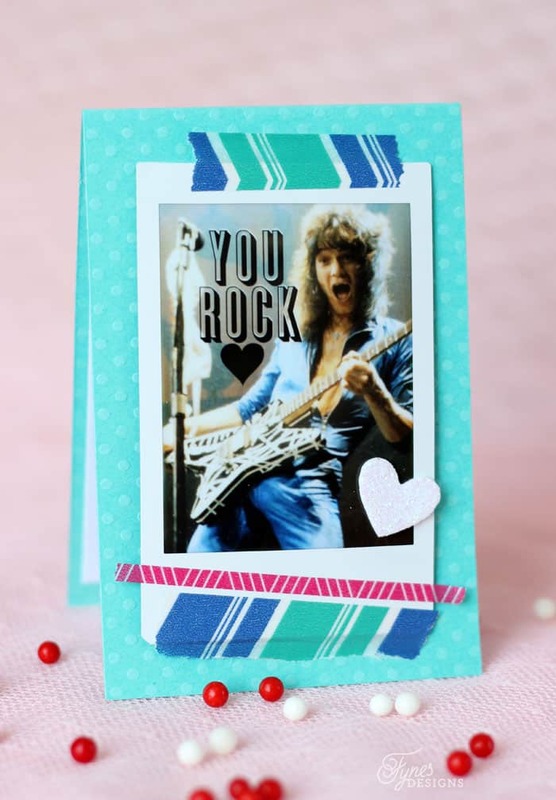 Plus I’m up on the Scrapbook and Cards Today Blog with another fun Valentine’s Day Project, be sure to check it out! This is SO fun! The Hey Girl card is hilarious (and might give me nightmares!). Thanks Virginia! Ha! Have a great week! I would love to have this cute little camera. Thanks for the chance to win it! Love the Valentine cards but must admit, lol, love the camera more. I seriously need one of these!!!!! The best Valentine’s Day ever is one that includes a surprise and lots and lots of chocolate! I don’t really have a favourite Valentine’s Day, they are all pretty good! A nice dinner out and time spent with John is always special because he works so much! I am easy to please! Thanks Amy, that one is my fav too! I’m kinda easy to please too, but Justin always does a great job! Those Valentines are great, and super funny. I have been wanting one of these cameras forever. Awesome giveaway. These look like a lot of fun. Thanks for the chance. My best Valentines day was 12 years ago. I had my daughter 2 months early and she had to stay in the hospital until she was 5lbs/her due date. On Valentines day when my husband and I went to see her the nurses decorated her incubator for valentines day and put a sign with a little poloroid pic of her on it that said I love you mommy and Daddy! It was so sweet of them! ha, those cards are hilarious. Love them!! That camera looks like sooo much fun! My best Valentine’s day will be this year – I am going to tell my son that he will have a sibling this coming fall. a couple of years ago my youngest son made me the cutest valentines card ever…and of course i kept it. My boyfriend knew I was pining for some fresh cut flowers, however he is allergic to almost everything and can’t keep a lot of plants in the house due to his allergies. Instead of bringing me fresh flowers, he surprised me and brought me to the flowers at the Royal Botanical Gardens! He doped up to ensure his sinus was at ease and we wandered around for the entire afternoon! Cards from my husband and toddler made last year’s Valentine’s day so special. My best valentine’s day was the first one I spent as a mommy! We just had a newborn and my husband created a Valentine’s day card with pictures from our first date to our wedding to my son’s arrival…all served with breakfast in bed! wonderful, as usual. I’d love one of these cameras for instant scrapping! I would LOVE TO WIN.! Thank you for the opportunity and for all of your great ideas! PS. Your valentines inspired me for mine this year!! Thanks! The year my first child, a girl, was born. She was 8 days old and I could not have asked for a better gift of love than her! Every Valentine’s Day that I get to spend with my husband since he was diagnosed with an incurable cancer is the best. Love this camera, so cute! My best Valentine’s Day ever was last year (so far) being pregnant with my little miracle baby. Can’t wait to share Valentine’s Day with him this year. My best Valentine’s Day was my freshman year of high school. I was going through a lot of family problems and was really down all the time so my friends decided to make it really special for me and brought me flowers, a ton of chocolate, and a super soft teddy bear. I will never, ever forget their kindness. That is so much fun, what a great idea!! The best one is when I get DIY cards/items from my kids & Hubby!!! Oh man… I don’t know. There was one year where my hubby got me a little stuffed dog that carried a heart with the words, “I woof you” on it. One of my best Valentine’s day was the year my husband bought me gold hoop earrings still my favourite pair today. Your cards are super cute, but I saw that camera in action a while back and I love it! I love Valentine’s Day! But to shorten it, I just call it Love day 🙂 & I love LOVE day!! My favorite one by far was last year. I was engaged to my now husband. He surprised me with a weekend getaway to Healdsburg, Ca. We had dinner at a fancy restaurant and went wine tasting! We even brought our tandem bike, which we had just gotten for Christmas, and rode around the town! He even coordinated with a few caterers to meet with us to do some tastings for our wedding. He’s a rockstar! This year, I took charge of the planning.. & I do not know if I can top that! Wow, that is some good planning! Go husband!! My partner surprised me with a trip to the beach. I would LOVe to win one of these 🙂 It’s been on my “to buy” list for ages! Not cheesy at all, so sweet! Dating my husband and made him a special dinner. My best Valentine’s Day was when my ex-bf showed up to my house with about 30 balloons, a giant teddy bear, a beautifully written card and my favorite flowers (tulips) and took me out to dinner to a restaurant that I had been dying to go to by the beach. It was so beautiful and thoughtful, by far the best Valentine’s Day. Yayy! How exciting for you!! This little guy looks so fun. It would be so easy and convenient. My favorite valentine’s day was it being spent at white castle! My best Valentine’s Day was the one my husband left me a secret Valentine’s on my car. We started dating a week later. We have been married 21 years. I’ve had my eye on one of those cameras for a while. I’d love to win one! Oh my goodness that is such a sweet story! I remember we made crafts and passed out candy and cards. It was fun and innocent! My best valentine’s that I will forever remember was the first one I shared with an ex. We’d only been dating about 7 months and we were at school together, studying in my apartment. He wasn’t the kind for romantic gestures and we hadn’t said I love you yet, even though he knew I was already there. I heard a knock at the door and a girl from my school was there with a rose and valentine gram from him saying he loved me. I turned around to look at him and he stood right in front of me with a serious look on his face and told me he was in love with me. And then I said it right back. Best Valentine’s Day was spending it in Las Vegas with my now hubby at Emeril’s steakhouse. My best Valentine’s Day was last year. we took a last minute cruise, and decided to get married. My perfect Valentine’s day was two years ago and we went to a carnival and I was showered with a gorgeous amethyst ring and Godiva chocolates! <3 Thanks for the chance! You’re a great Mom, Maybe Mr. Lisa will get the idea soon! My best would have to be two years ago on Valentines day my son was born!!! BEST day ever!! My favorite valintines day is when my son brought home a valintine for me when he was in grade 1. 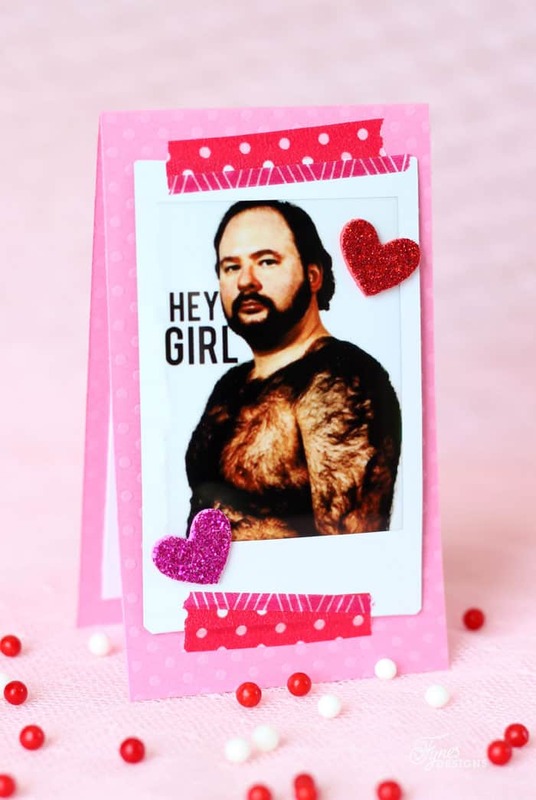 Fun Valentine cards. Cool camera, have been looking at them . My husband surprised me with tickets to see Bon Jovi. I’ve wanted to see them forever. Him remembering and getting tickets without me knowing was really sweet. Hubby took me to Miami and we had an oceanfront room….absolutely incredible and I will never forget! This would be awesome to win. My boyfriend s birthday is on Feb 14. We both enjoy photography. This would be lovely to share with him. Thanks for the chance. All of my Valentine’s Day’s are special, there are so many different ones that I could not pick one as some were spent with hubby & others with family & friends! But what is perfect they were all with love! Best Valentines was a 14 days of Valentines I did for my hubby leading up to Valentines Day. Each day I had little items that expressed out love. It was during a difficult time for him and a real encouragement. I think that wins for best V-day, how specail… except the labour pains, could do without that! I think my favorite Valentine’s Day was the one where we knew our little man was on the way! Anyhting that my kids make! I have saved their cards from over the years and love to get them out and remember those times. FYI – I heart Valentines Day! Love Valentine’s Day. They are all special. This little camera looks so cute and FUN! Remember getting homemade cards – they are the best! I don’t think I’ve had it yet, LOL! I can’t even really think of ever getting any nice surprises on Valentine’s Day. Well maybe you’ll win, that would be a nice love day surprise… even if it is from me! 8 years ago when my husband proposed! every year is awesome when it’s spent with the hubby, he works away alot, but always arranges to have something to make me smile. I gotta admit, I don’t have a favorite Valentine’s since I’m not super into it nor have anything that memorable. I just enjoy going to dinner with my husband, if anything, or staying in and hanging out! Also, love the valentine’s. Such a cute idea. And that “Hey girl” one is perfect! My best Valentine was when I was hospitalized and my three girls and my mom made me the most awesome of cards! It would have to be when my boyfriend flew back home to surprise me. I hadn’t seen him for months so that was such a lovely surprise. Favorite valentine’s day have always been with family and great friends. The homemade dinner is one of my most memorable valentines day surprise. Last year, my husband and I went out for dinner. This doesn’t sound special, but it was our first date in over a year! It was awesome! my guy and I we not getting along too well, the day before valentines he stops by and wants me to go for a drive with him, it ends up he says he’s kidnapping me for the weekend and took me to the city for a fun filled weekend. What a great man you have, I love suprises… especially when they involve a weekend away! I have loved the look of these cameras. Thanks for my chance. Crossed fingers here. The best Valentine’s Day was in high school when a guy I liked asked me out with a single rose. Best Valentine’s Day would of been the first year that we were married. We didn’t have much money but we both took the day off to spend together. Together we cooked a nice dinner and dessert to share and spent the day cuddling and watching movies. Simple but special! I like to stay in on valentines day & eat sweets, exchange prezzies & order in or we go out to a bar for appies & drinks. We go out for a special dinner…just not on valentines day or valentines weekend, it’s always too crowed & we feel rushed. This last year I woke up to the surprise that my husband had not only got me flowers, but our 3 year old daughter as well plus a new toy for our 5 year old son. My heart melted that he thought of all of us on that day, and not just me. My best valentines was when my bf prepared a nice meal, spa getaway and roses. It was super romantic! Years ago, my husband & I made a fondue supper complete with chocolate fonude for dessert to enjoy with our daughter so we could all share in Valentine’s Day together. We gave her a card I handmade which she loved & it was a special evening! Every Valentine’s Day, we go out and dine in buffets.. I think it’s always awesome to eat a lot especially with your man! Haha! This year Valentines will be the best ever! Candle light snowshoe loppet with fireworks! We have never really celebrated V day around here. But my favorite would be just hanging out in our own house – if it were quiet! – with my honey and a glass of wine! Very cute! My favorite Valentine’s Day will be this year, as our baby girl will be due. My best valentine’s? Probably my first with my hubby (then boyfriend) who was trying to impress me with a great date and fun pressies. I think my best Valentine’s Day was when I was in college and my Daddy sent me flowers. I am not usually a flowers girl, but it hit me for some reason, and I still remember that feeling! I guess I have been living under a rock? These are sooo cute! I would love one! Great pics!!! Two years ago my friend and her family came over and we had a small Valentine’s day party! The kiddos had a blast and so did us adults. ohhhhhhhhhh Pink is my favourite colour!!!!!! Be still my beating heart <3 Thank you gor the chance to win!!! OH man! I don’t know that I have a great Valentines story. Most of the time we don’t do anything big, usually a movie at home after kids go to bed! But I do love our low scale Valentines!! You are so creative! I would love to try my hand at this. Thanks for the chance to win this adorable little camera. I love these cameras! So fun! One of these would make the best Valentines :). A large card and a large box of chocolates my first year of marriage. They got smaller after that. My best Valentine’s Day was last year when all four of my kids gave me homemade cards. I admit I cried :). Oh Valentine’s Day…since I’ve never had a boyfriend on Valentine’s Day, my favorite one was when I spent the day pampering myself and enjoying some time with friends. I started the day with a nice, bubbly bath and a yummy breakfast. Then, I got my haircut and headed over for a mani pedi. My makeup was done at Bare Escentuals before heading to dinner with girlfriends. This is so awesome of you. I happened to see these cute cameras a few weeks ago and so want one. Thanks for offering the chance to win one free! My best Valentine’s Day was the first one after my husband and I started dating. We were supposed to have a date, but a co-worker called in sick and I ended up staying until 3 a.m. When I went to leave work, I found a dozen roses and some chocolates waiting in my car. I was touched to find the gifts but was bummed that I didn’t get to see him. Then he walked opened the door and got in my car…he had fallen asleep in his own car waiting for me to come out so he could see me! My best Valentine’s Day ever was when my husband brought home flowers after work and we went out for a nice meal. Just me and him no kids with us this time. We have been married 50 yrs so we have had many Valentine’s day together! But my favorite is the day he gave me a ring with 2 hearts on it with diamond chips in it! I wear it every day. He is a keeper. My best Valentine’s Day ever was February 14, 2001. My second son was born that day. The nurse gave him a red and pink heart hat that volunteers had made. He’s been our Valentine’s celebration ever since! My girls would love one of these!!! My best Valentine’s was three years ago when my now husband asked me to marry him!!!! Of course I said yes! My best Valentine ever was when I was 16 and the boy that I had a crush on asked me to go out with him. I was in heaven! Can’t think of my favorite V day but remember going to my 2daughters school parties and loving how excited they’d get! the best Valentine’s Day for me was 2002, when after years of having fun “trying” we finally had a little boy to fill our lonely hearts. looks like lots of fun. My kids will taking pictures and saving them to their journals. Very interesting to see what they take pictures of and what’s important to them. They totally see different things than I do. Great camera, what colors are available? I’ve heard lots of chat about the camera on the scrapbook sites. It comes in a variety of pastle colors, plus hot pink and purple! Lots of great colors to choose from! The best was our 1st together as man and wife. He made an amazing dinner and we wined and dined in a cocoon of love. He still cooks, but we have moved from that studio apartment. Still think about the sweetness of that meal, 12 years on. He makes it a special day, just for the two of us. My best/most memorable Valentine’s day was my first date with my husband. also… Thanks for linking up at the Thoughtful Spot Weekly Blog Hop! We hope you join us next week! Love the days when my young son would bring home valentines cards for his mama each year… Those tender years were such a pleasure. I have been wanting one of these so bad! I’m in love with the colors and the cool pictures! My favourite Valentine’s Day was the one when my boyfriend asked me to move in with him. My best Valentines day ever was just a simple one spent with my other half . Nothing extravagant. Just a wonderful time enjoying each others company and a heartfelt conversation. I have to admit that I’ve never had a particularly memorable Valentine’s Day before. I’m looking forward to this year though because we are going out to our favourite restaurant and the kids are going to their grandparents. Best Valentines: Any that my husband wasn’t deployed or training…although he always made sure to make the ones that he was extra special for me & our lovins. Letters, candy and local crafts from where ever he was in the world. Those boxes were always special. I love Polaroids use to have so many hanging in my locker during high school. Brings back some crazy memories. My best valentines day was actually the first year I spent it with my daughter! I grew up with valentines day being a day you show all those you love how much you care (because yes it should be everyday but we all have work getting an education babies errands chores obligations and a million Dr appointments and sometimes its easy to get lost in what you HAVE to do) so when my daughter was born we made frames with baby pictures hand print keepsakes we baked tons (she has a strict diet due to health which means avoiding gluten dairy eggs butter soy and refined sugar aka anything processed so we make all our special treats at home) we went for a walk together and prepared dinner for when her father got home and make presents for all her relatives.. It was special and fun to see how much she could express her love without saying I love you. She was born right after valentines day so she was almost one for her first one.. Which worked out great! Each year Valentines day get better. From new additions to the family brings on even more love. This year we are headed to SF and have a reservation at Bouchon for lunch. I’m so excited!! These are such fun valentines! I think the Eddie rocking may be my fave- but hard to beat a sweater vest of hair! I would love to share with my little one. It would be so fun. I can remember my Dad having one when I was growing up and how I loved watching the picture appear. my best valentines day was in the 8th grade, a random boy in my school walked up to me and told me I was beautiful! nothing really extravagant but I will always remember that day! My boyfriend gives me flowers every year. simple and I love it.